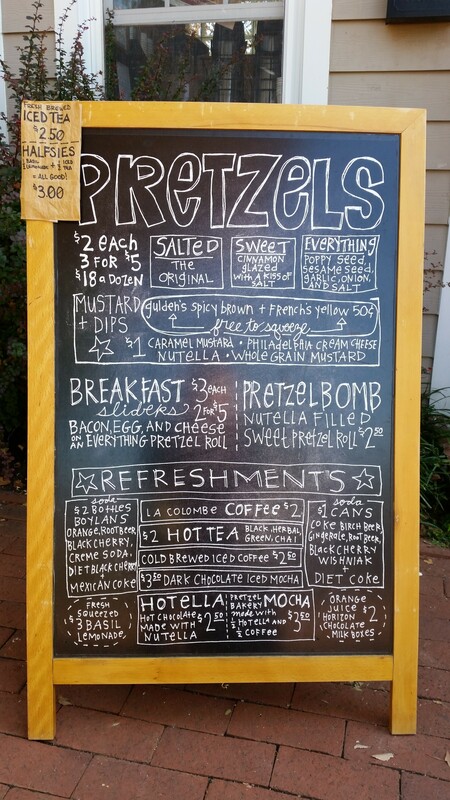 Curbside Café will close the doors of its brick and mortar operation at 257 15th Street at the end of October and The Pretzel Bakery just down the street at 430 15th Street, SE, will relocate to the space. 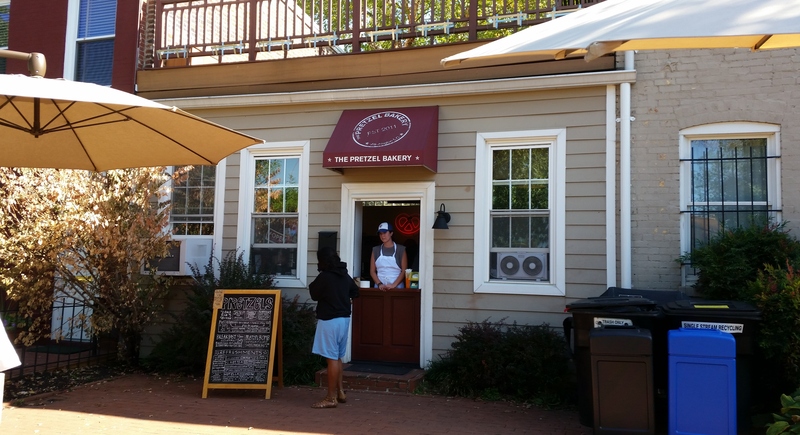 The move will allow the bakery to offer sit down dining, but it is unclear whether the move will affect the bakery’s menu. 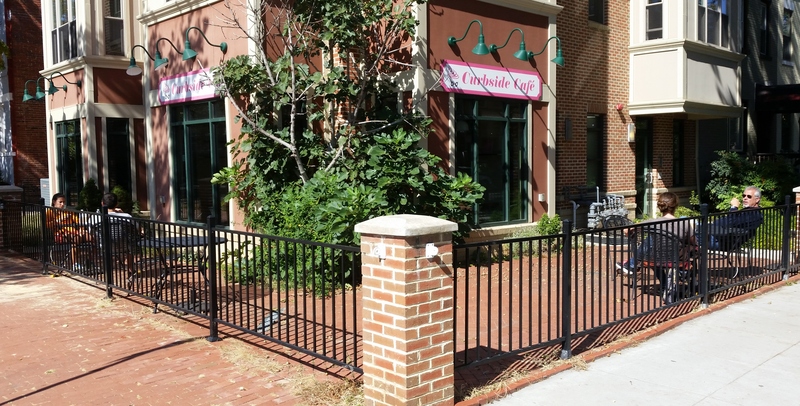 Curbside Café which opened in October of 2013 has over time reduced its operating hours to Friday, Saturday and Sunday. A representative told CHC that business on the weekends is ok, but that the area lacks sufficient foot traffic to justify remaining open during the week. The Payne Elementary School directly across the street occupies a city block which might otherwise hold residences with potential customers. Re-establishing retail on 15th Street has been problematic. The commercial strip – a hold-over from another era – once boasted a Safeway, a tavern, a small department store, at least two convenience stores, laundromats, two liquor stores and various other enterprises. Little retail space remains as multi-unit residential projects soaked up the strip’s commercial space. Restaurant liquor license for Las Placitas, 1100 8th Street, SE. O. Wilson Elementary School Community Safety Walk (before PSA 104 public meeting), 6:00pm , meet at TD Burger, 257 K Street, NE, to walk through the community problem spots. Public Meeting for Linden Court, NE, Alley Safety Improvement Project, 6:00pm, H Street Country Club, 1335 H Street, NE. DDOT invites the community to a presentation of the plans and schedule for the Linden Court NE Alley Safety Improvement Project. ANC6B Outreach and Constituent Services Task Force meets at 7:00pm, Hill Center. Special Community meeting on restoration and renovation of Virginia Avenue Park, 7:00pm, Hill Center. Department of Parks and Recreation representatives will meet with the community on proposed plans for Virginia Avenue between 2nd and 9th Streets, SE. The plans will be implemented by CSX at the completion of the Virginia Avenue Tunnel Project.